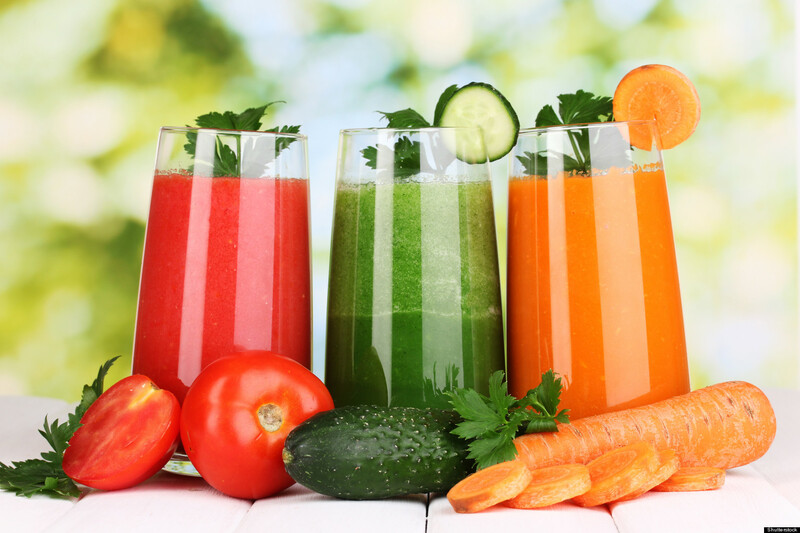 Detoxes and cleanses have become a popular fad these days, particularly through juicing. But there are many misconceptions about how and why to do it. Here are a few tips to help you decide if detoxing is right for you! Detoxification removes toxins and impurities from your blood. The toxins are processed and eliminated through your liver, kidneys, skin, intestines, and other areas of your body, helping your body feel and function better. One of the biggest misconceptions about detoxes and cleanses is that they are for weight-loss. When done right, detoxes are about cleansing your body from the inside out so that it functions properly, NOT about losing weight. Technically, our bodies are always detoxing from whatever we put in it, no matter how healthy or unhealthy. However, consciously making an effort to do a “detox” helps promote our bodies’ natural detoxification system and process. How does one go about detoxing? There are several ways to detox or cleanse your body. It can be through fasting, juicing, stimulating the liver and other areas of toxin elimination, or even temporarily removing toxins such as alcohol, caffeine, refined sugars, or other foods from your diet, to give your natural detoxification system a break. Some people even remove the use of any products that are not 100% natural, or anything containing chemicals. Some people use natural concoctions or pills for detoxing. It just depends on your needs! Whatever type of detox you want to try, be sure to consult your doctor to determine if it is right for you, and how often it is safe to do it! Some symptoms suggesting that a detox may be good for you are extreme fatigue, irritated skin or acne, allergies, dark circles or bags under your eyes, bloating, and mental unclarity. Other signs that you may benefit from a detox or cleanse are headaches, body aches, and certain food cravings. 1. Eat foods which naturally promote detoxification, such as foods containing a lot of fiber, beets, radishes, cabbage, broccoli, brown rice, spirulina, chlorella, and seaweed, and organic fruits and vegetables. 2. Certain herbs, such as milk thistle and dandelion, help protect and cleanse the liver, as well as green tea. 3. Taking plenty of Vitamin C helps the liver drive away toxins. 4. Drink plenty of water–at least two quarts per day. 5. Breathing deeply allows oxygen to better circulate through your body. 6. Take a bubble bath, meditate, do yoga, or find some way to relieve stress and allow your body to fully relax. 7. Sweat, whether through a tough workout, hot yoga, a sauna, or simply playing outside in the summertime. It helps eliminate waste through perspiration. 8. Brush your skin. It sounds weird, and feels weird at first, but it does wonders for the removal of toxins through your skin. You can find special skin brushes in the skincare section of most stores. Just remember to always brush AWAY from your heart. 9. Exercise. Even if you don’t necessarily work up a drenching sweat, getting your heart rate up for a period of time every single day is very healthy and helps promote your body’s natural detox process!